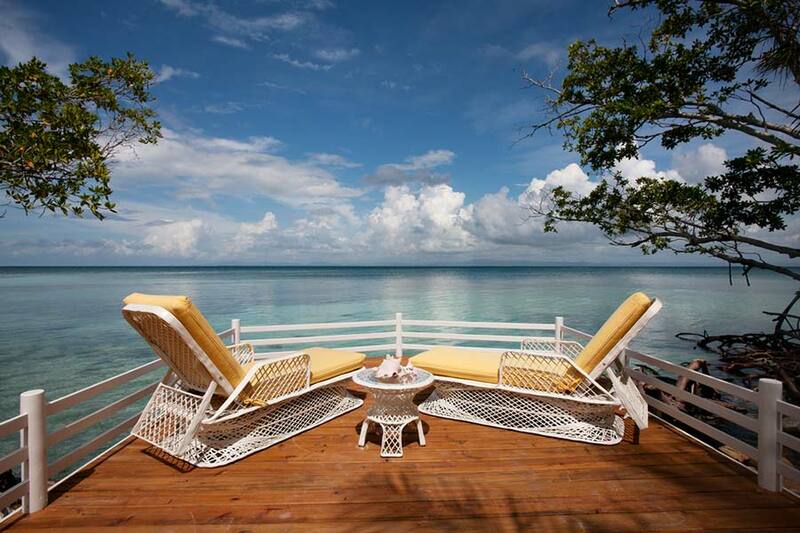 The Royal Belize private island is exclusive to your guest party, complete with full-time staff to make you feel at home. 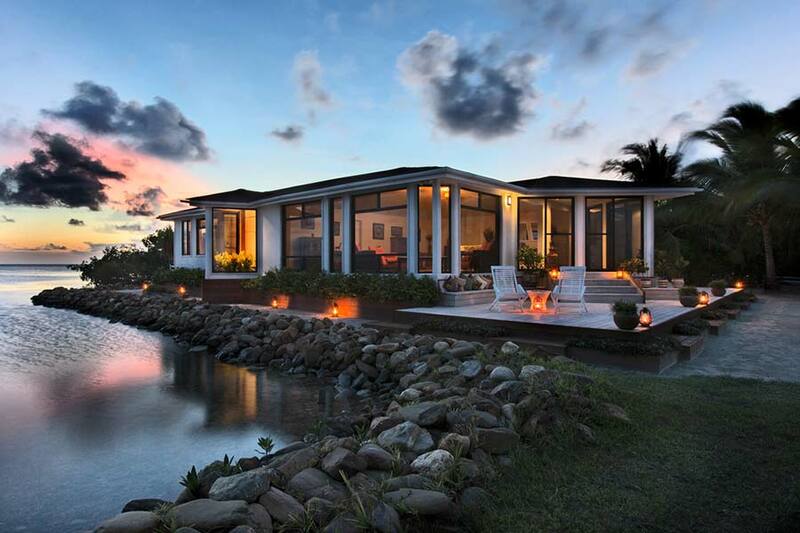 The largest villa on the island, feature three tastefully designed air-conditioned suites with uninhibited views of the Caribbean through panoramic windows. The suites are distinct in every detail and feature king-sized beds or multiple doubles/twin beds that can be specially tailored in a variety of configurations to accommodate your needs. You'll fall in love with our main dining room, social arena and lounge space. 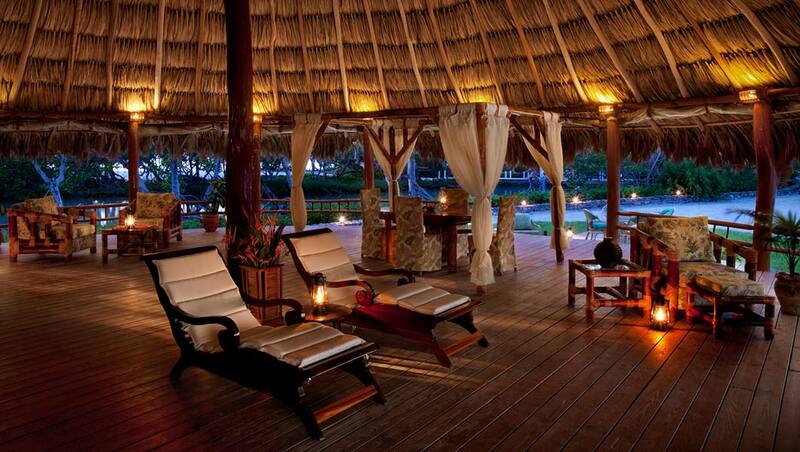 The Grand Palapa is the epi-center of Royal Belize and serves as home base for you and yours. Connect from one of our iPads located in each villa. Use for entertainment and communication with your private concierge. Mobile phone coverage and (temperamental) wireless Internet access is available to all guests. Hobie Wave catamaran and sea kayaks. Stand-up paddle boards and kite board. Unlimited use of jet skis, knee board, tube, skis, snorkeling gear, floats, yoga mats, beach toys, and all other sporting equipment. 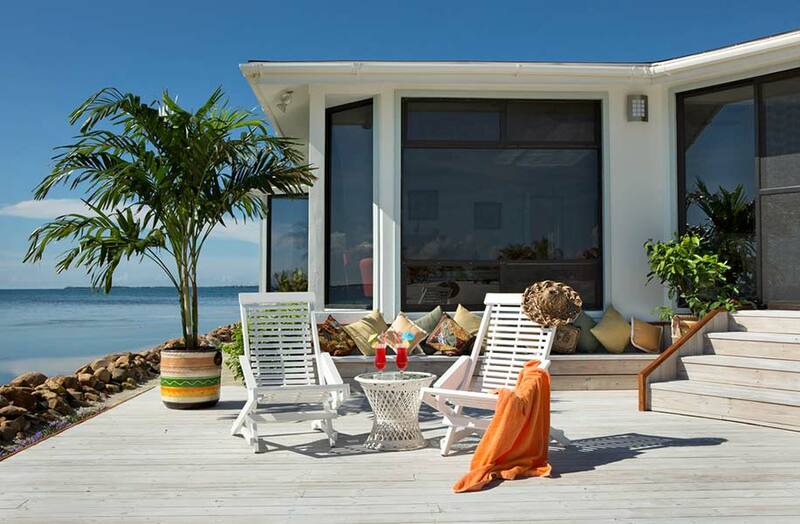 Numerous hidden and not-so-hidden spots to retreat in a hammock or lounge chair. A complimentary boat transfer upon arrival and departure. All meals, drinks and local alcoholic beverages included. Getting here Is easy with concierge assistance every step of the way. 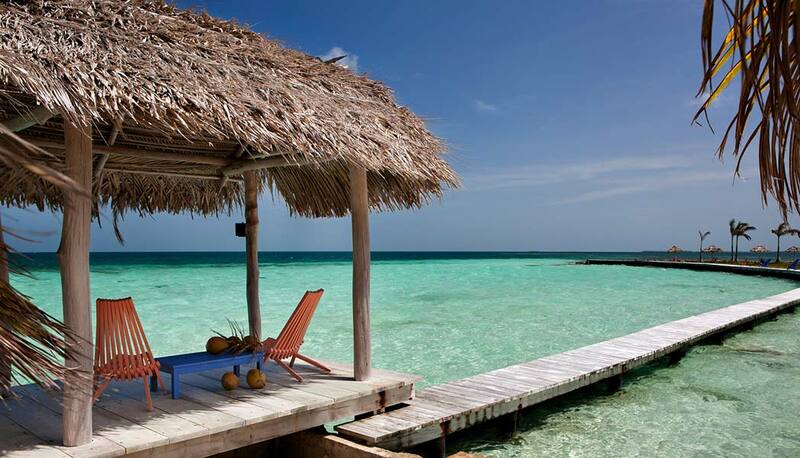 Your concierge will assist you in booking your flight from Belize City (BZE) to Dangriga (DGA) where you’ll be greeted by the concierge and taken to your boat. 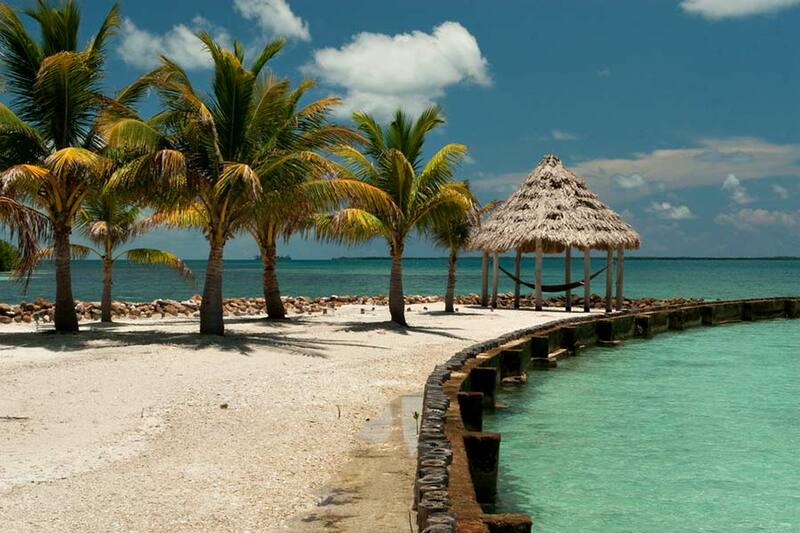 A 25-minute boat ride from the mainland brings you to Royal Belize, located within the World Heritage Site of South Water Caye Marine Reserve, boasting the second largest barrier reef in the world. Late arrivals may require an overnight stay on the mainland as nighttime boat transfers are not possible. 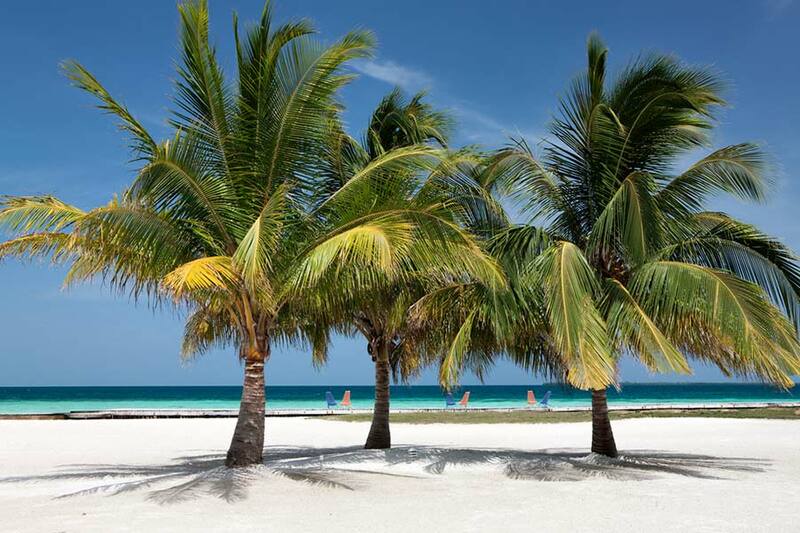 Guests may book a helicopter ride directly from Belize International Airport to the island. 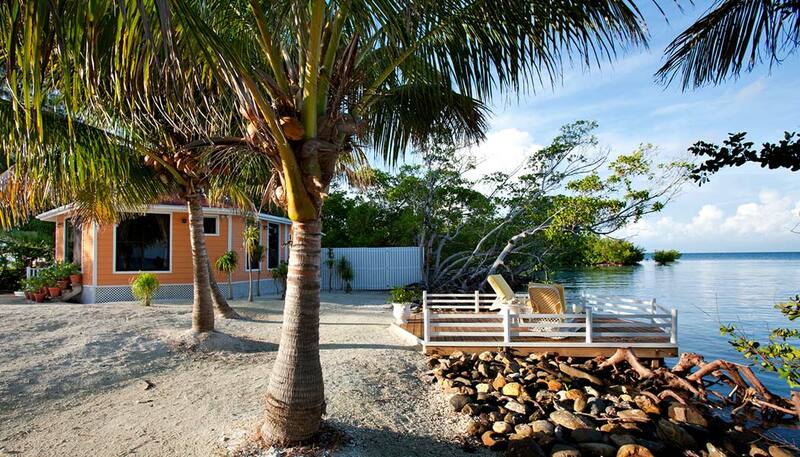 Rent the entire island for as little as $560/night per person. Rates inclusive for 6-10 adults, 4 night minimum and vary by season, please enquire.